We are the gold KEY standard in providing solutions to your employment screening needs. Quick turnaround times, Advanced Web-based Technology & Personalized Customer Service. Employment background screening solutions tailored to meet the needs of every Business, Industry & Budget. Key Background is integrated with dozens of leading ATS & HRIS systems to help automate your screening & workforce management process. We are the gold KEY standard for employment background screening needs! KEY Background Screening is the gold KEY standard for your employment background screening needs. We pride ourselves on quick turnaround times, advanced web-based technology, and personalized customer service. We understand that the KEY to success in today’s fast-paced market requires quick, accurate background screening reports. KEY is a proud member of NAPBS. Our screening services are FCRA compliant. Our commitment to efficiency helps keep costs low for you and your company. Our comprehensive quality assurance standards ensure that our researchers are audited regularly and our final reports are reviewed for accuracy. Our secure, web-based system includes 24×7 ordering capability, status updates, report access, online invoicing, and more. Our HR-XML compliant interface enables integration to ATS and HRIS systems. KEY delivers personalized customer service by getting to know you and your business needs first. 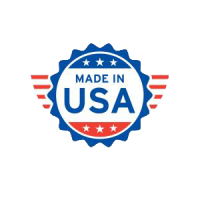 Our data and customer service is 100% based in the United States of America. Unlock your future today with KEY Background Screening! State or Commercial driver’s license reports include status, suspensions, violations, & history. Batch MVR ordering is available. A wide range of drug testing services are available at over 16,000 SAMHSA certified labs across the U.S including Medical Sanctions Monitoring. Verification of identity, I9 form, E-verify, and past address history creates a correct baseline for background reports. Live scan fingerprinting for Ohio BCI & FBI. Key Background Screening is integrated with dozens of leading ATS & HRIS systems to help automate your screening & workforce management process. Streamline your hiring efforts by integrating today! I consent to Key Background Screening collecting my details through this form.